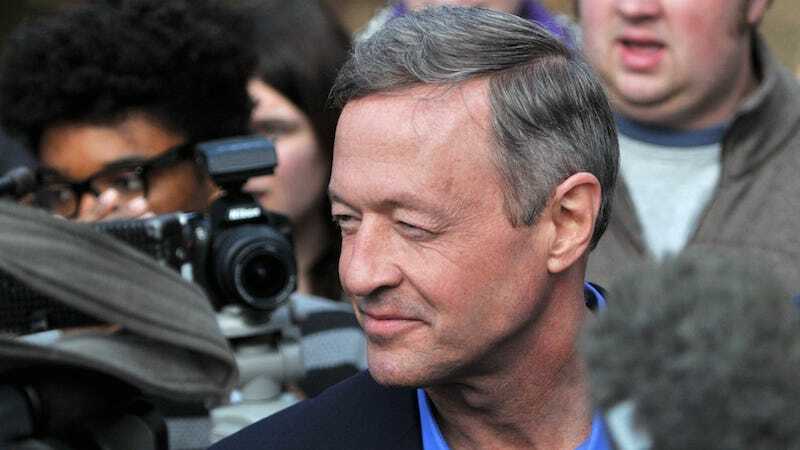 On Monday evening, the nation said, “Goodnight, sweet prince” to Martin O’Malley, who suspended his presidential campaign after receiving less than one percent of the vote in the Iowa caucus. “I want to thank everyone who came out to our events and lent me their ear an everyone who went out to caucus for me tonight,” he said during his announcement. I, for one, am going to miss that muscular slice of white bread, if only because he served as the angelically oblivious child in Bernie Sanders and Hillary Clinton’s messy divorce. Still, we’ll always have the memories. Here are a few I’ll cherish most. Marty, I hope you get all the 30 seconds you want in Heaven.